Growing up, my family’s Easter traditions included a scavenger hunt to find Easter baskets, hunting for plastic eggs, and eating chocolates. There may have been learning involved, but if there was, I don’t remember it! However, with my own kids, I’m all about combining learning and fun. (In fact, kids learn better when they are having fun!) 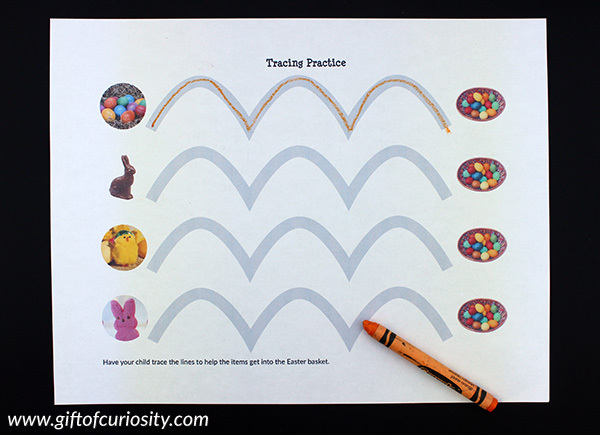 And with my Easter Fine Motor Pack, you can help your child strengthen their fine motor skills this Easter season with a variety of activities designed to develop different fine motor skills. 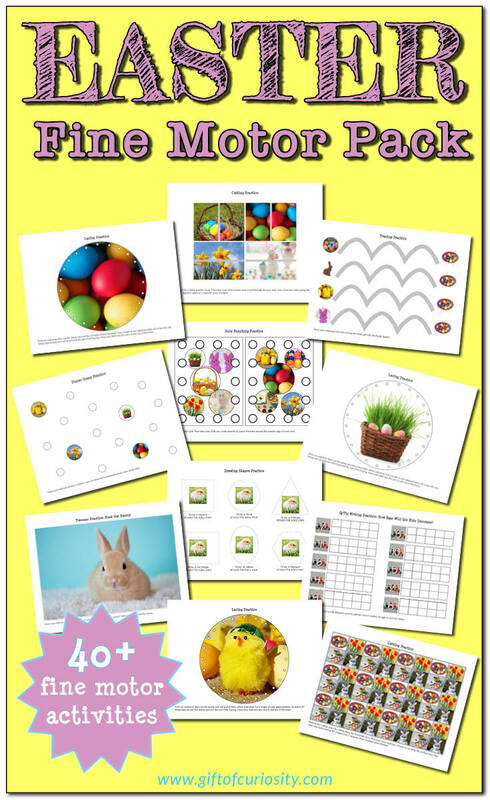 The 40+ pages of activities in this Easter Fine Motor Pack give children practice with nine different types of fine motor activities. 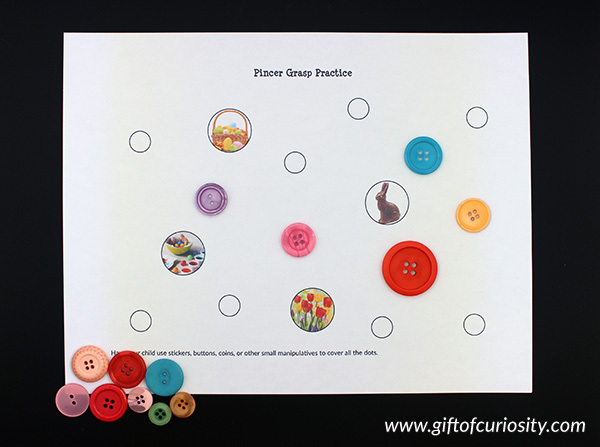 Children use their thumbs and forefingers in a pincer grasp to place buttons, stickers, coins, or any other small manipulative material on the dots. Children weave yarn in and out of the holes to practice their lacing skills. Children trace lines in a variety of shapes to work on pencil grip and overall fine motor control. The pack includes straight lines, angled lines, curvy lines, and looped lines. 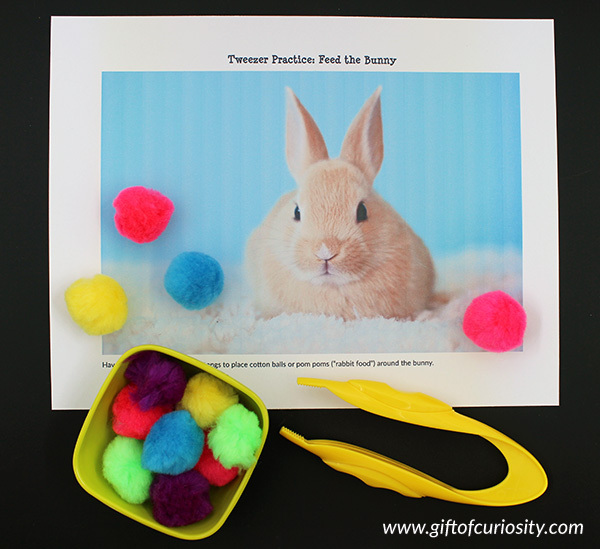 Children use tweezers to place cotton balls or pom poms on the pictures. 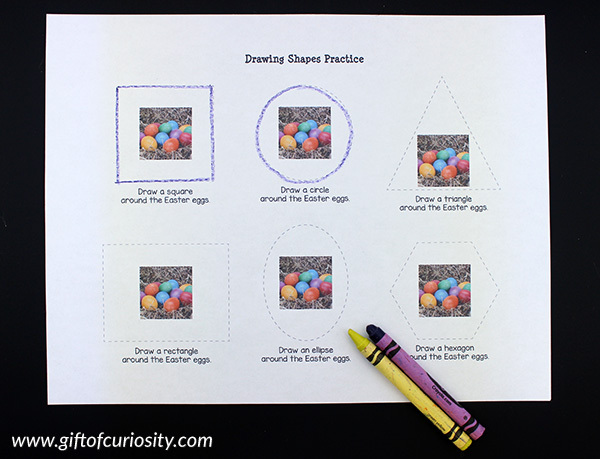 Children work on pencil grip and fine motor control while also learning shapes. 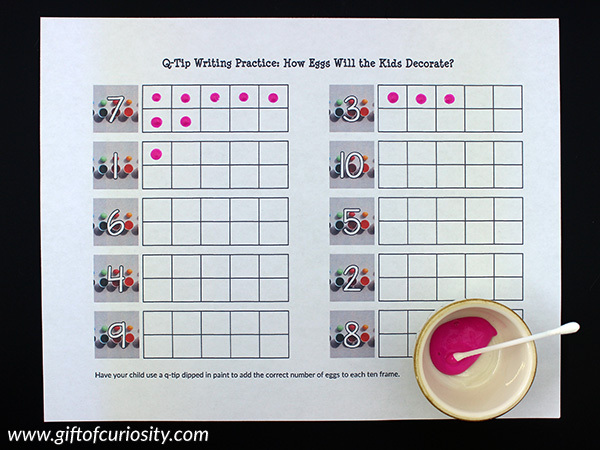 Children use a q-tip to fill in ten frames, thereby combining pencil grip skills development and numbers practice. 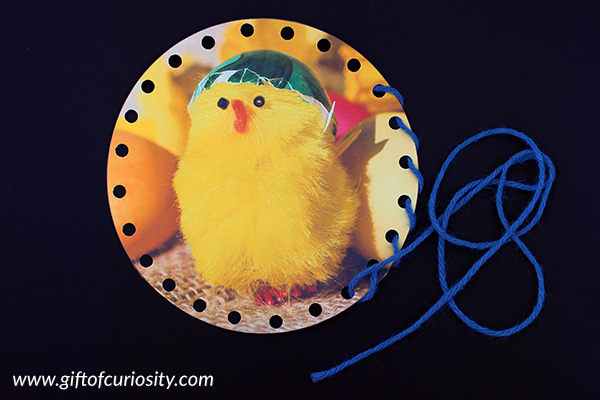 Children use a pin puncher to punch holes in the letters. This is another opportunity to practice pencil grip skills. 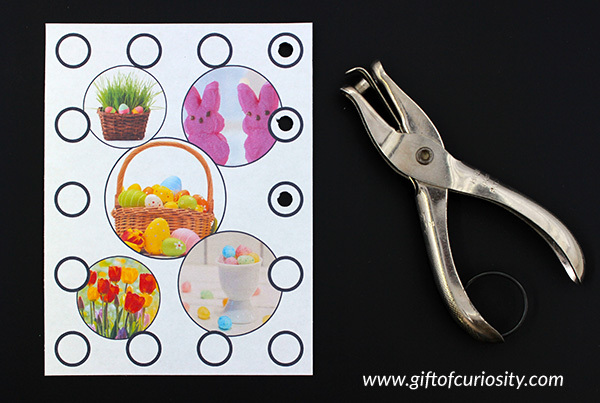 Children use a hole puncher to punch holes around the card to really strengthen those hand and finger muscles. 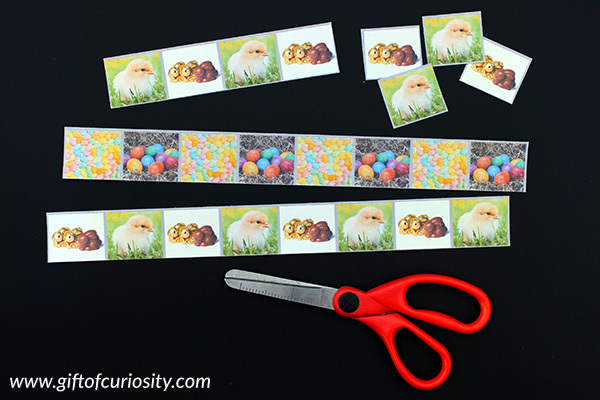 Children use scissors to cut pictures apart as well as in half along straight and wavy lines. 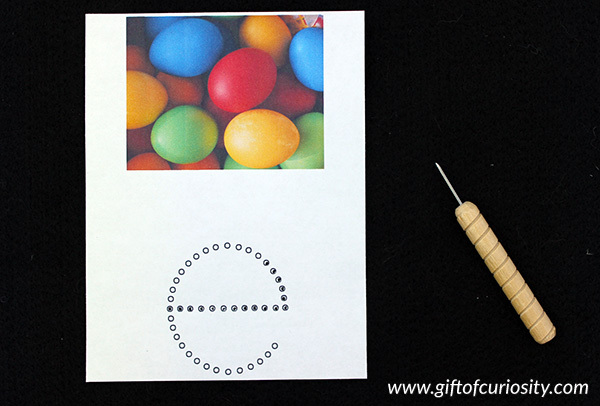 As you can see, this Easter Fine Motor Pack is jam-packed with awesome fine motor activities for kids in preschool through first grade. 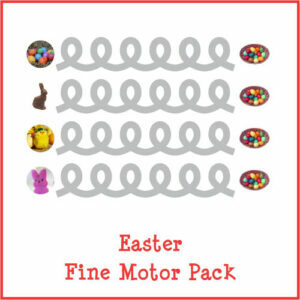 Want a copy of my Easter Fine Motor Pack?